It’s safe to say we all know at least one obsessive coffee drinker amongst our family or friends. 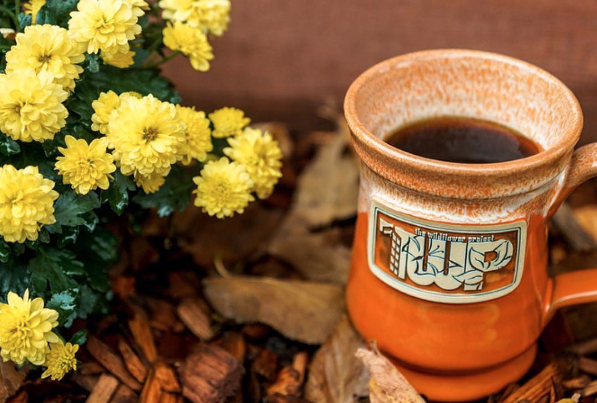 Lucky for you, there are tons of great gift options for the coffee lover you know. 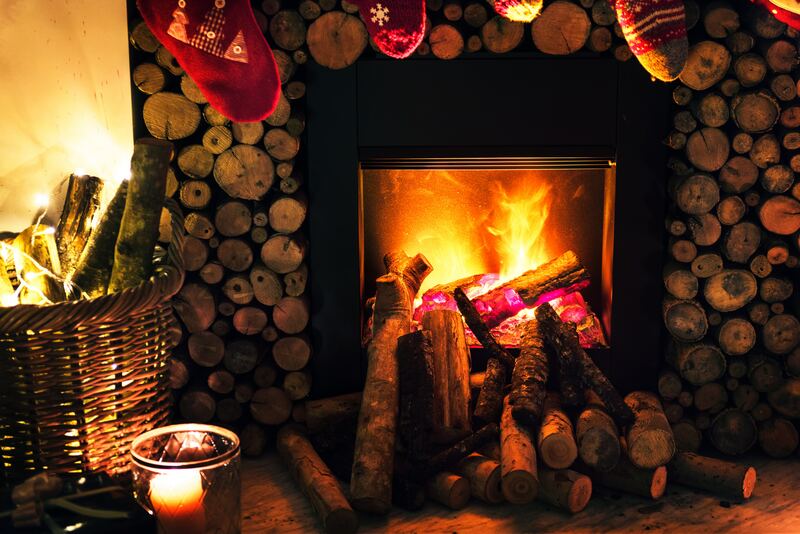 If you’re still not quite sure what to gift them for this upcoming holiday season, here are 9 great stocking stuffer ideas for your favorite coffee drinker. For the coffee lover who enjoys their brew strong, get them a subscription to the world’s strongest coffee, Death Wish. 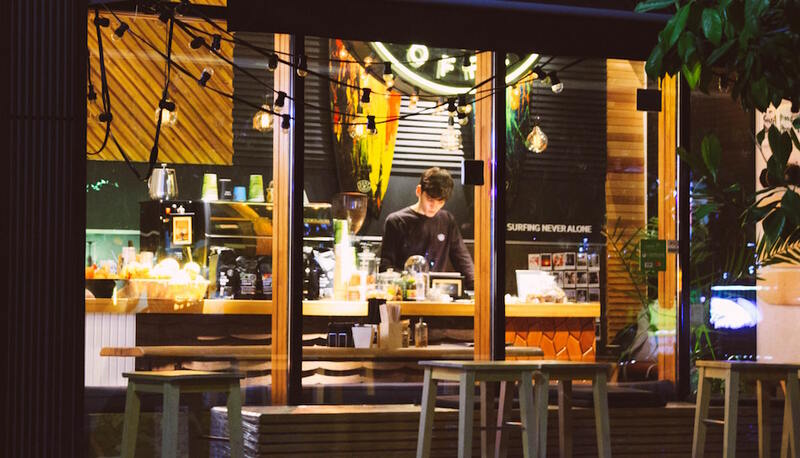 If it’s not the strongest coffee they’ve ever had, keep your receipt and you can get a refund (but don’t worry, it will definitely be the strongest coffee they’ve drank). Fun fact we’ve now created what must be a world record – over 80,000 mugs many of which are limited edition. Interetsed in finding our more there’s 2 more releases this year. For the pokey coffee drinker, this one is for them. We’ve all gotten caught up a busy morning and forget about the cup of joe we just poured. 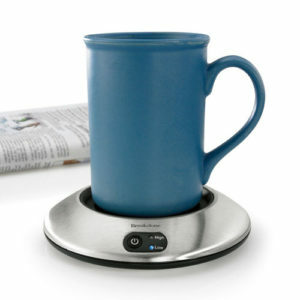 With this beverage warmer, you can keep your coffee hot all morning long and into the afternoon. Although we’re not showing one of our mugs here there’s no doubt that our Abby Mug would fit perfectly! All coffee lovers need a favorite mug. 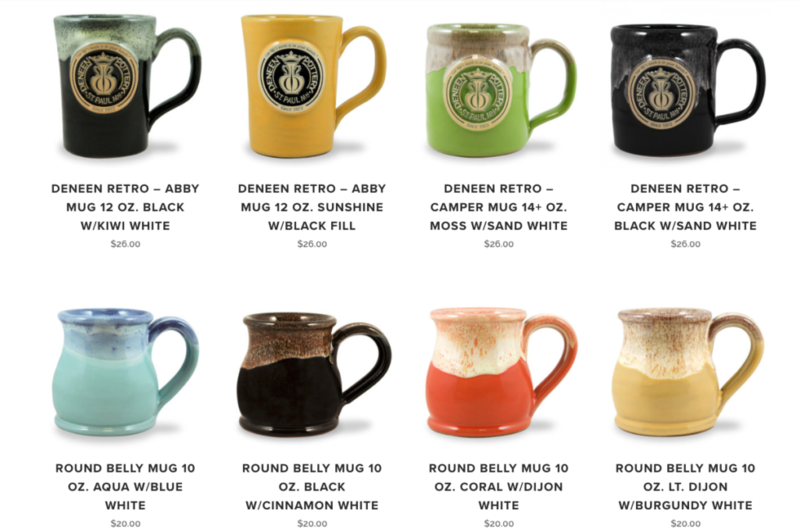 With our wide array of styles and handcrafted so that no two mugs are exactly alike in appearance, a Deneen Pottery mug is the perfect gift for the coffee lover in your family. 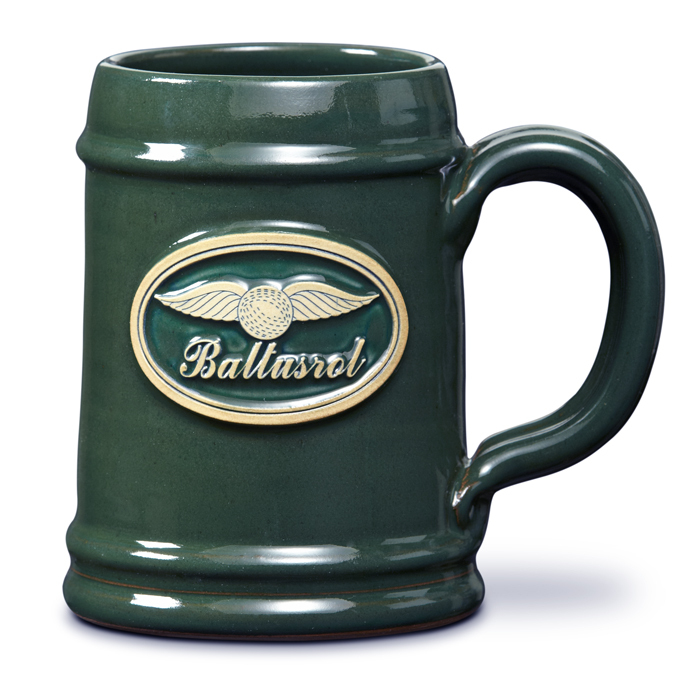 Check out our mugs or look for a retailer you can purchase from as well! The perfect holiday drink for your coffee crazed friend and family member. 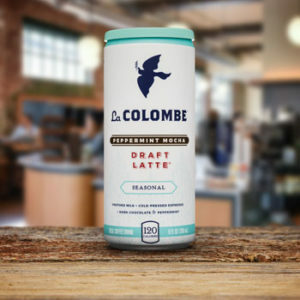 This seasonal drink courtesy of La Colombe offers a refreshing take on a holiday classic and receive great reviews from coffee lovers alike. 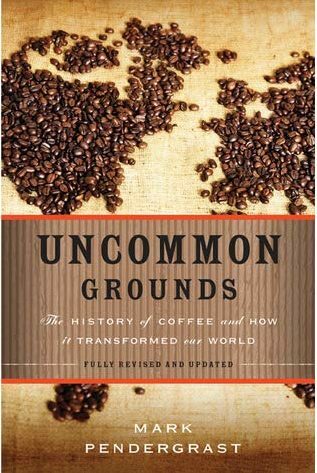 Help your coffee lover take their nerdiness for all things coffee to the next level with this book that speaks on everything from the culture of this caffeine beverage over the the last decade, to the Coffee Crisis and the Fair Trade movement. 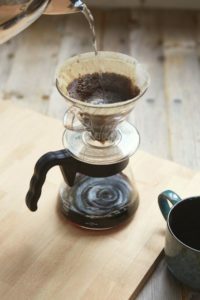 Many coffee drinkers will swear by pour-over coffee, as it allows you complete control over the brewing process and many people find the method cathartic in the morning. If your coffee lover hasn’t tried pour-over coffee yet, the Hario V60 Pour-Over Kit is the perfect starting point. Help your coffee lover maximize the flavor of their coffee by allowing them to grind up their own coffee beans. 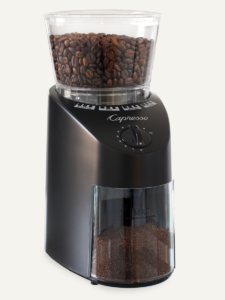 The Capresso Infinity Conical Burr Grinder has grinding settings for espresso, drip coffee, french press, pour-over brews, and percolators. 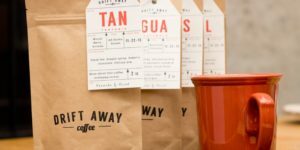 Driftaway Coffee is a fantastic idea (and offers a lower level of caffeine), in which they send you a tasting kit of four profiles that you rate on their app or website. Driftaway will then send you new coffee that matches your taste preferences, all while sending you additional information on the farmers who grew the beans, as well as different coffee recipes and brewing techniques to try. It’s the perfect gift for any obsessive coffee drinker. Many coffee drinkers say that once you’ve tried french press coffee, it’s hard to turn back to your original ways. 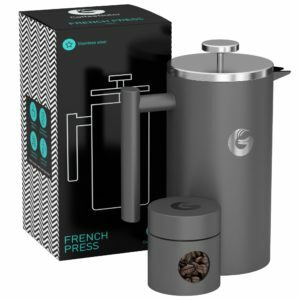 This french press courtesy of Coffee Gator will keep the coffee hot and fresh.